Fedrick Harris Custom Estate Homes, the custom division of Newmark Homes, will be building in an exclusive gated section in Bridgeland. Homes will range from $900s to $1.5 million+. Fedrick Harris is an innovative homebuilder that's attuned to design trends. Year after year, we offer award-winning design and construction in homes that incorporate a nationally-recognized energy efficiency program and state-of-the-art technology. 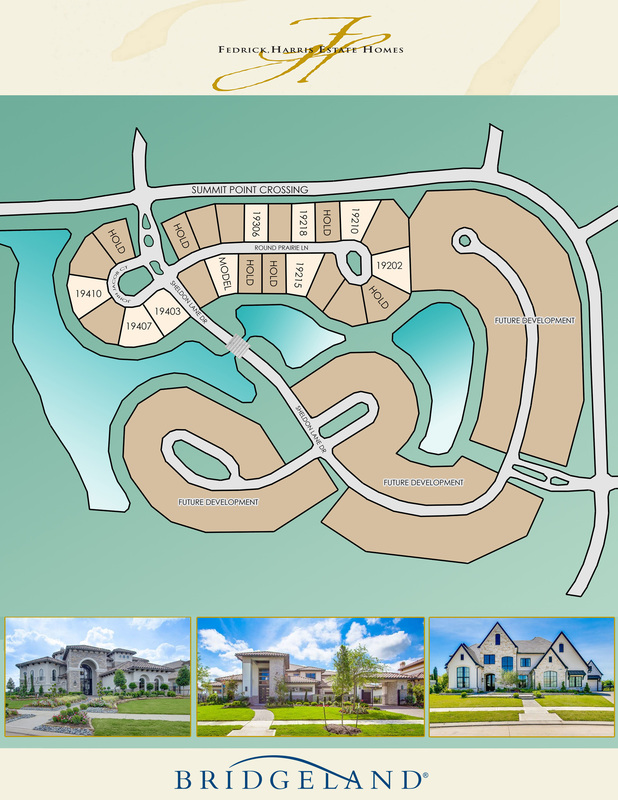 Learn more about building a custom home from Fedrick Harris at Bridgeland in Cypress. Located 2.5 mi from U.S. 290 and 2 mi from HWY 99. Lakeland Activity Center is 6,000 sqft with a spray park, junior Olympic-size pool, and two 30’ tower slides. A 127-acre CFISD educational village near the Grand Parkway is coming soon. Enjoy a busy community social calendar filled with exercise classes, season workshops, and events. Residents can use the recreational equipment like kayaks, canoes, and paddle boats. Vision Learn. Empower. Achieve. Dream. LEAD. Mission: We will maximize every student’s potential through rigorous and relevant learning experiences preparing students to be 21st Century global leaders.